In this special series, we will be covering the evolution of the real estate industry from the 1960’s to present day. These posts are based on the industry experience of Coastal Premier Properties Broker, Tom Tucker. It is our hope that by retelling the history of real estate in San Diego County, we will be able to trace the changes at a social, economic, and technological level that have led to today’s current industry profile and the results that have occurred for consumers, for better and for worse. 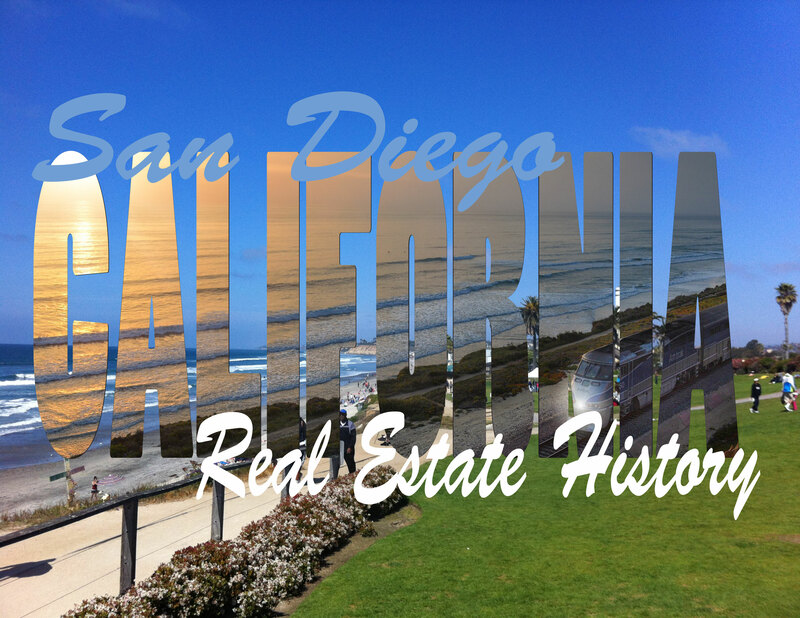 Click here to read about San Diego in the 1960’s, 1970’s, and 1980’s. Overall, in the 1990’s, the real estate industry was shaped by the increasing usage of computers, the birth of the internet, the early days of email, and the rise of the cell phone. By the late 90’s, most households owned at least personal computer and one cell phone. People were more connected than ever, which had a direct effect on the speed and efficiency of the real estate industry. The launch of the DRE’s website and the early days of the Multiple Listing System (MLS), meant that every agent had instant access to the latest listings in their area. The use of the internet brought about the standardization of business systems, allowing for more storage of data, and greater availability of information. By the late 90’s, personal real estate websites had appeared and with it, IDX software, which is still in use today and provides the public with access to all of the real estate listings in their area. By the end of the century, the public was starting to play more of a role in their own real estate transactions. No longer were they forced to rely on their agent to come up with the properties they wanted to see. They could get online and search. The widespread use of cellphones meant that agents were on call like never before. Where it had previously been customary to call someone and wait for them to get back to you, cellphone usage pioneered the idea that people should always be easily available. Ease of communication with cellphones and email really reshaped the business into what we know it as today: a fast-paced industry, where deals are made in minutes. 1993: Licensing and Child Support. In accordance with Section 17520 of the Family Code, the Department of Real Estate (DRE) is precluded from issuing or renewing a full-term license if the applicant is on a list of persons (obligors) who have not complied with a court order to provide child support payments. The Department of Child Support Services compiles the list which includes all counties in California. DRE will issue a 150-day license to an otherwise qualified applicant who is on the list of child support obligors. DRE will advise the applicant that the license applied for cannot be issued unless a release is furnished to DRE from the Department of Child Support Services during the 150 days. 1994: IVR System Launches. Self-service telephone system and interactive voice response (IVR) system for the public, licensees, and examinees becomes operational in the Department of Real Estate (DRE). The IVR system enabled DRE to deliver a higher level of service to consumers and the industry. It paved the way for easier access to licensing and other department information. 1996: The DRE launches its website. The Department of Real Estate’s initial Website included general information for consumers, information on how to obtain a real estate license, and subdivision information. 1997: License information is publicly available. The Department of Real Estate expanded its website to provide consumers the ability to check the status of real estate broker and salesperson licensees online. Also included in the expanded services were frequently asked questions about licenses. 1997: California Mortgage Lending Act becomes law. The California Residential Mortgage Lending Act (CRMLA) was enacted in 1994 and became operative in 1996. The CRMLA was enacted as an alternative to the existing laws licensing lenders under the Real Estate Law and the California Finance Lenders Law, in order to provide mortgage bankers with a licensing law specifically intended to regulate their primary functions of originating loans and servicing loans. Unlike the Real Estate Law and the California Finance Lenders Law, the CRMLA is specifically designed to authorize and regulate mortgage banking activities. An applicant under the CRMLA may obtain a license as a lender, a servicer, or both. The CRMLA authorizes licensees to make federally related mortgage loans, to make loans to finance the construction of a home, to sell the loans to institutional investors, and to service such loans. Licensees are authorized to purchase and sell federally related mortgage loans and to provide contract underwriting services for institutional lenders. Licensees are authorized to service any federally related mortgage loan regardless of whether they make the loan or purchase a servicing portfolio. A licensed CRMLA lender is also authorized to provide brokerage services to a borrower, by attempting to obtain a mortgage loan on behalf of the borrower from another lender. 1998: New and renewal licensees must provide proof of US Residency. In 1996, the United States Congress passed the Personal Responsibility and Work Opportunity Act (the Act) which requires states to eliminate a broad array of public benefits for illegal immigrants. The definition of a public benefit includes professional and occupational licenses issued to individuals by state agencies. For purposes of the Department of Real Estate (DRE), the term ‘public benefit’ applies to original and renewal real estate salesperson and broker licenses; prepaid rental listing service licenses; and mineral, oil and gas broker licenses. To implement the provisions of the Act, the DRE adopted Regulation 2718 effective August 1, 1998. The regulation requires proof of legal presence in the United States from all applicants for a license. The requirement applies to applicants for both original and renewal licenses. 1999: Major DRE Computer System Overhaul. The Department of Real Estate (DRE) deployed a comprehensive, enterprise computer system that migrated all of the DRE’s existing information and data processing activities from a variety of stand-alone and outdated systems into an organization-wide client-server system. The EIS is the foundation of DRE’s complex information technology (IT) infrastructure. 1980: California State University, San Marcos, opens. 1995: ARCO Olympic Training Center opens in Chula Vista. 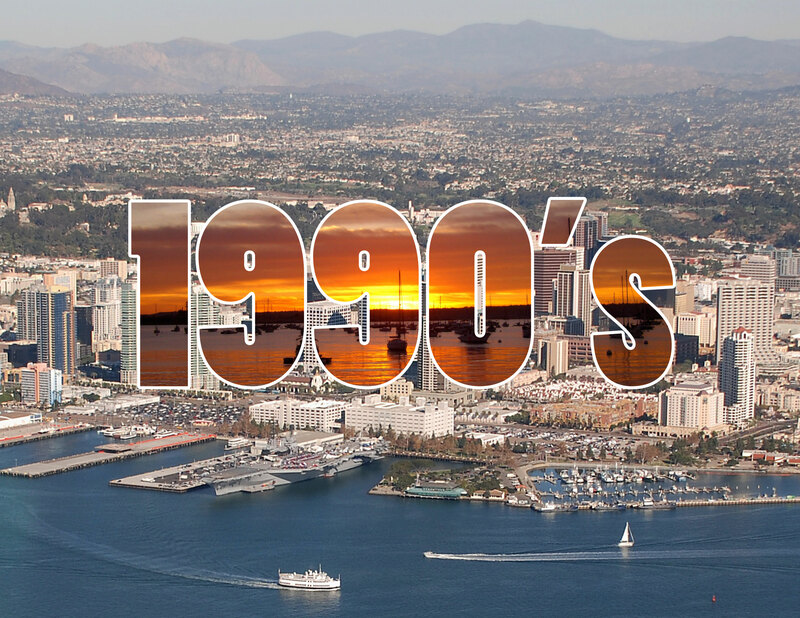 1996: San Diego hosts Republican National Convention, first national political convention in San Diego history. 1997: Naval Training Center on Point Loma closes to all active military use. 1999: Legoland California opens in Carlsbad. 1992: End of the Cold War. 1993: World Trade Center bombing. 1999: U.S. and China sign historic trade agreement. Join us next month as we dive into the history of the 2000’s and take a look at what changes in that decade shaped the evolution of the real estate industry.